If there is one thing I discovered during my time in Italy, it is just how delicious an Aperol Spritz is! 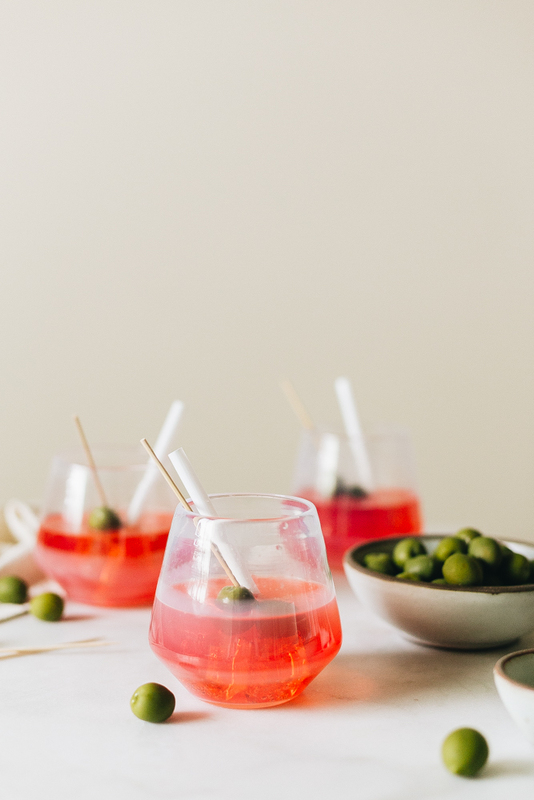 While there, Annette whipped up a few of this delightful aperitivo for a light pre-dinner moment and I immediately fell in love. The recipe I am sharing today is from her book Cocktail Italiano and could not be easier to follow — literally it’s a matter of following a 3-2-1 ratio. I put a slight twist on the recipe by garnishing with Castelvetrano olives instead of the traditional orange slice. While in Venice, I had this version and loved it even more. I’m definitely more of a savory than sweet person, so I’m sure that’s why I’m drawn to this change to the classic Aperol Spritz. 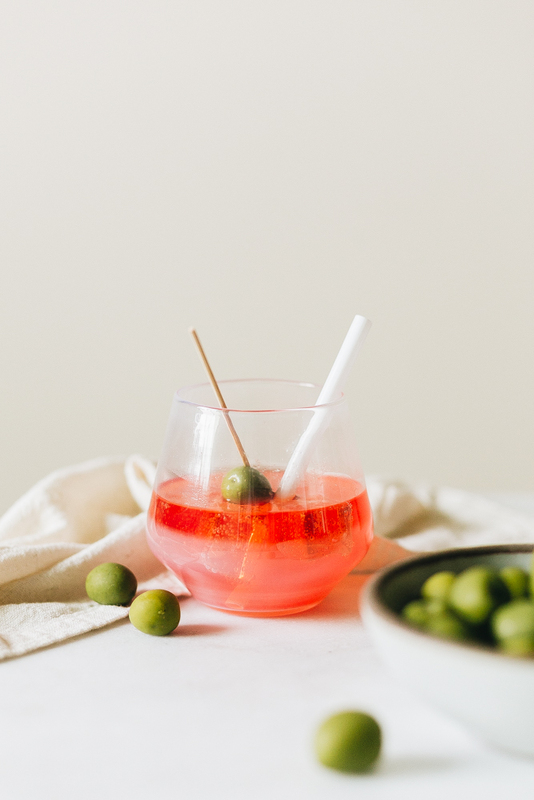 This refreshing prosecco-based cocktail is the perfect thing to sip during pretty much any occasion… especially because it reminds me so much of our amazing Italian vacation. As soon as I taste this balance of sweet and bitter, I’m immediately transported back to leisurely lunches and the sounds of a bustling Tuscan city. Some have even called it the official drink of summer, which I happen to wholeheartedly agree with! 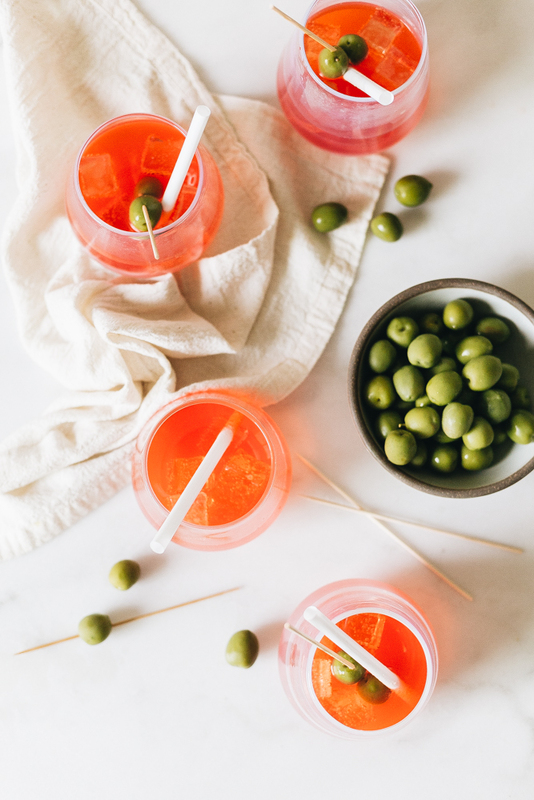 Typically, Aperol Spritzes are an after-work drink, served during the aperitivo hour with some small bites. I was pleasantly surprised to find that most restaurants and bars serve a spritz with a side of simple, salty potato chips. Once you have the chips and cocktail though… it makes total sense! I also love nibbling on extra olives while sipping this light cocktail, too. BTW, these gorgeous glasses are from Suite One Studio and were just restocked! You can shop for them here. Fill a wine glass with ice cubes. Following a 3-2-1 ratio, pour in the Prosecco, followed by the Aperol, then the soda. 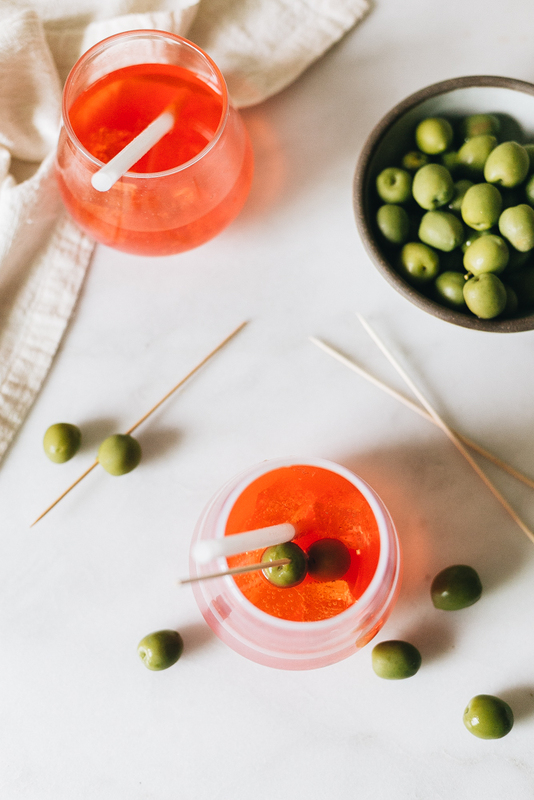 Garnish with either an orange slice or Castelvetrano olives on a skewer. Don’t forget a side of salty potato chips, too! If you’re craving a bit more of a bitter and herbal flavor, you can use Campari or Cynar instead of Aperol. There are so many spins on this classic, too. From frosé to granita, it seems like everyone has shared a version of the Aperol Spritz. I hope you enjoy this one! Photography and styling by Jojotastic. Recipe developed by Annette Joseph, shared with permission.